Download the new app so you can listen on the move. Now available for all Android and Apple devices. Just select your device below, Download, install and Enjoy ! . . . There is always loads of great stuff happening in Leeds. Here we have just a few that we think you will find interesting ;) Its not all Boom boom boom ! Portraits of a city and its people. Uncover the city of Leeds and its people in a brand new portraits exhibition. In late 2015 Leeds City Museum challenged selfie-takers, budding photographers and professionals alike to uncover some of the faces of Leeds today. This unique exhibition showcases the best of the competition alongside portraits from the city's past, found deep within the collection. From early Victorian photography to modern day selfies, abstracts and studio portraits, this fascinating exhibition will take you on a journey through the history of the people of Leeds from the 1800s to the present day. Get hands-on in their photography studio and create your own studio portrait! Explore what a portrait can tell us about a person and take a look at the different ways in which people have chosen to represent themselves through time. Exhibition kindly sponsored by http://www.straightpix.com/, AS Frames and CC Imaging. No Quiet Place explore the sonic and visual noise which proliferates out 21st Century World. Sound-led artworks and mixed media installations examine the environment and incidental noise that proliferates physical, sensorial and psychic spaces. Some works attempt to control and make sense of the background clatter while others delight in it, relinquishing control and embracing the cacophony. Lawrence Abu Hamden's video work The All Hearing touches on his interest in the 'politics of listening'. The video documents the delivery of religious sermons about sound pollution in Caro set against footage of the City's invasive and all-absorbing audio and visual noise. Leeds-based Akeelah Bertram presents two works that create immersive multi-sensory environments through the clever refraction of digital video beams and carefully glitched sound. Most regularly noted for his graphic design practice, Paul Elliman's work considers the human vice's relationship to visual typography and the sonic sounds and signals of everyday life and the city such as police sirens, urban bird calls and computerised speech. Leeds-based Claire Charnley and Sao-Paolo based Patricia Azevedo's video work It's stone hitting stone, produced collaboratively during a residency in Portugal, creates a sonic guessing game in the viewer's mind's eye. Berlin-based Hamme Lippard, converts fragments of text collected from pop culture, the workspace and everyday contemporary interactions into performance and sound works. Using her voice as her medium Lippard's poetic readings are often delivered into a tone reminiscent of an internal monologue, or a children's bedtime story. California-based Anne Walsh and Chris Kubick will use The Tetley's Atrium gallery wall for the European debut of their collaboratively produced Full Metal Jackets I+II, a large scale installation that creates a unique generative soundscape from an archive of Hollywood blockbuster sound clips. MINT Festival 2016 is happening in June. You got your tickets yet ? In Leeds, there are few clubbing brands that amount to that of Mint. Recently added to their portfolio, including 2 clubs, is Mint Festival - a one day festival featuring the best in dance and electronic music. Mint Festival returns in 2016 on September 24th. Early bird tickets on sale now. 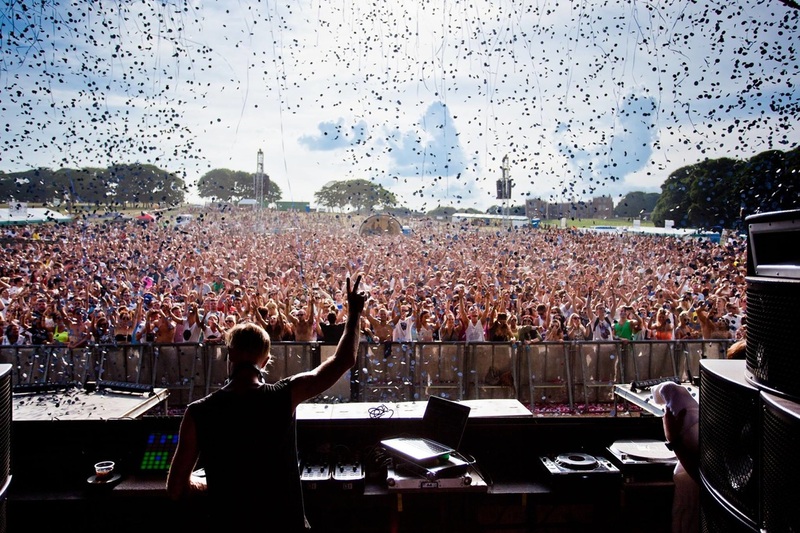 Mint Festival 2016 will take place for the first time in the city centre of Leeds at The Tetley. Mint Festival was born into one of Leeds’ proudest clubbing families, an annually-visiting bigger brother to Mint Warehouse and the smaller Mint Club. All well-established as significant components in the city’s dance music scene, the three cater for parties of varying sizes, offering Leeds’ party goers a venue to fit every situation. The one day Mint Festival offers the biggest knees-up in the Mint calendar, occupying numerous locations as it moves around some of the best outdoors venues the local area has to offer. 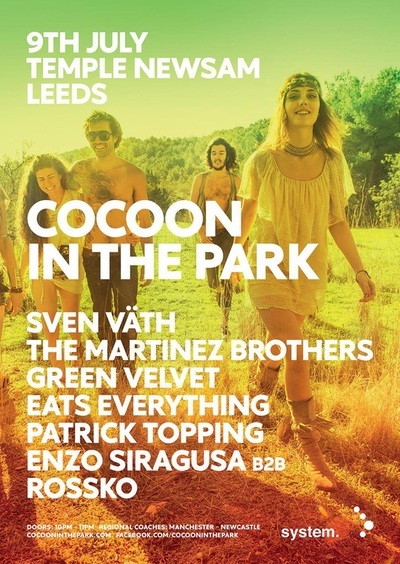 Returning to Leeds in 2015 after a brief move to Lincoln for the 2014 edition, Mint Festival reacquainted itself with its true home, and continues to deliver the best in house, techno, disco, dubstep and DnB to Yorkshire’s party city. Blessed in the past with DJ sets from the likes of Ben Klock, Jamie Jones, Seth Troxler, Dixon and Ricardo Villalobos b2b Zip, the festival uses the full force of the Mint brand to pull in some of the hottest artists going, throwing them together in the summer heat to see what magic unfolds. By now, Mint Festival is an immediate pick for many as the highlight of the summer, and with the lineup getting better each year, it looks like it’ll remain so for quite some time. A welcome way to soak up the last rays of warm sun with the most magnificent summer tunes as a backing, the festival will offer a final chance to dance outside before autumn comes knocking, making sure that summer goes out with a bang and a pint in hand. Advertise with us on this space ! Radio advertising is the best way to promote your business proven overtime by leading companies ! We are Live 24 hours a day your no1 underground music station coming live from the heart of Leeds ! Connecting the people of Leeds to meet and socialise with other like minded people. We do not advocate the use or sale of illegal substances. Our Team Thank you for Joining us we know how important and influential music can be in people lives and are privileged to be able to play to such a wide range of people and to all the fantastic amazing people of Leeds. We are proud of our city and hold it close to our Hearts - Thanks for Listening and Keep it locked ! -Badz .